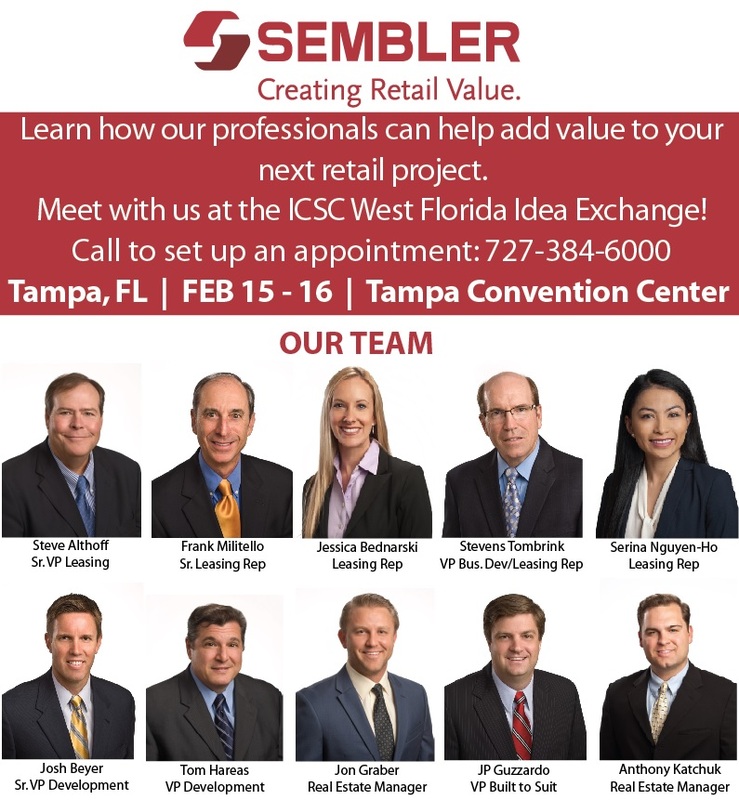 Don’t miss your chance to meet with our team at the ICSC Carolinas Conference & Deal Making. Steve Althoff (VP of Leasing), Joe DeStasio (Director of Real Estate), Suzanne Shank (Leasing Agent), and Jessica Moreno (Leasing Agent) will all be in attendance. Find out how we can help you with your next retail project! Call today to set up an appoint at 727-384-6000.